Many of us don’t understand the value of handmade jewelry. This is because we don’t know how much time, material and work goes into finishing a single piece. We are used to everything being machine made or mass produced and we drift towards less pricey items. 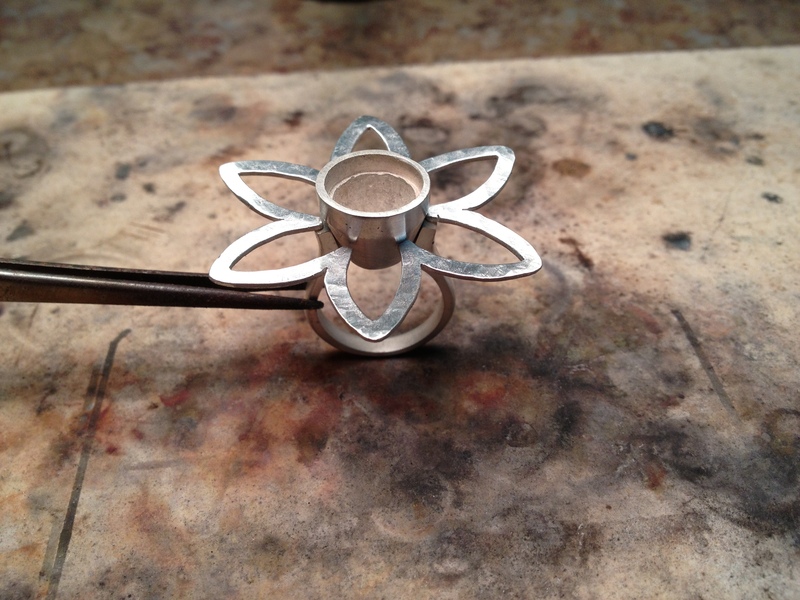 To give you an idea of why handmade jewelry is priced higher than mass produced items, I will show you the steps I took to make a sterling silver flower ring. 1. 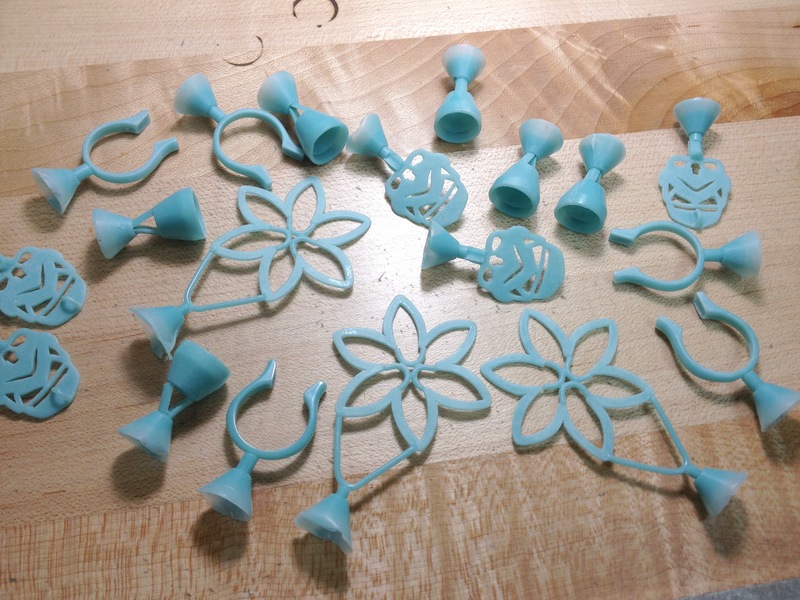 After making a brass prototype of the flower petals, the band, and the bezel, I proceed to make molds of each individual piece and inject them with wax. The ring consists of 3 parts making it more time consuming and challenging. 2. 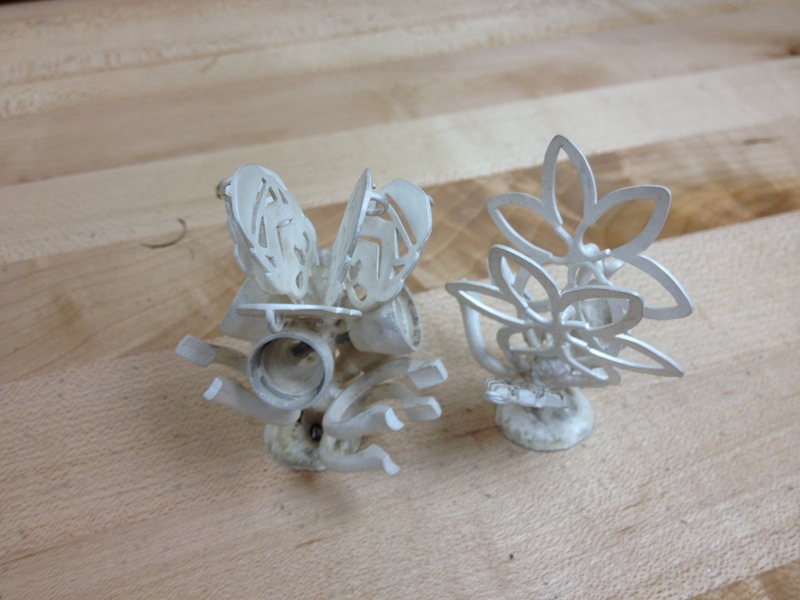 I cast the wax models in Sterling Silver. Castings ready to be cut and finished. 3. Cut, file, sand, and polish the castings. 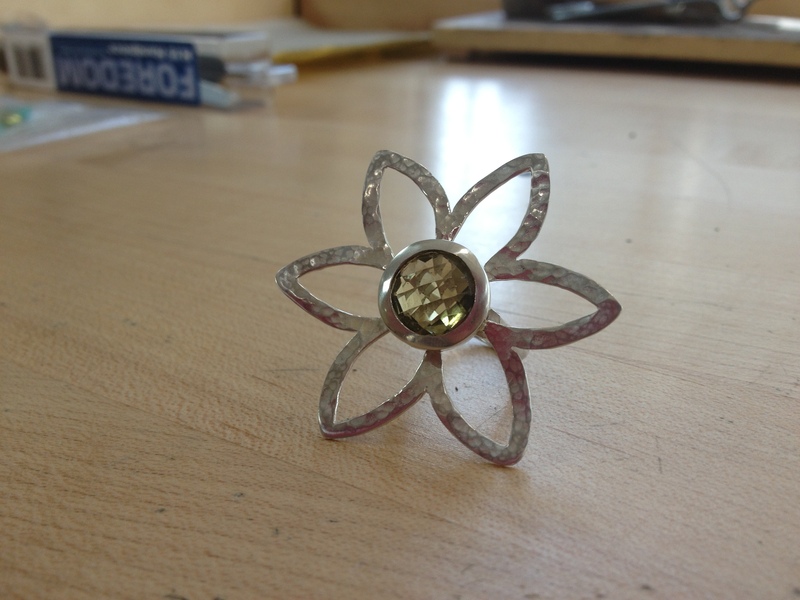 Assemble the 3 part flower ring (band, bezel, & petals) and solder. 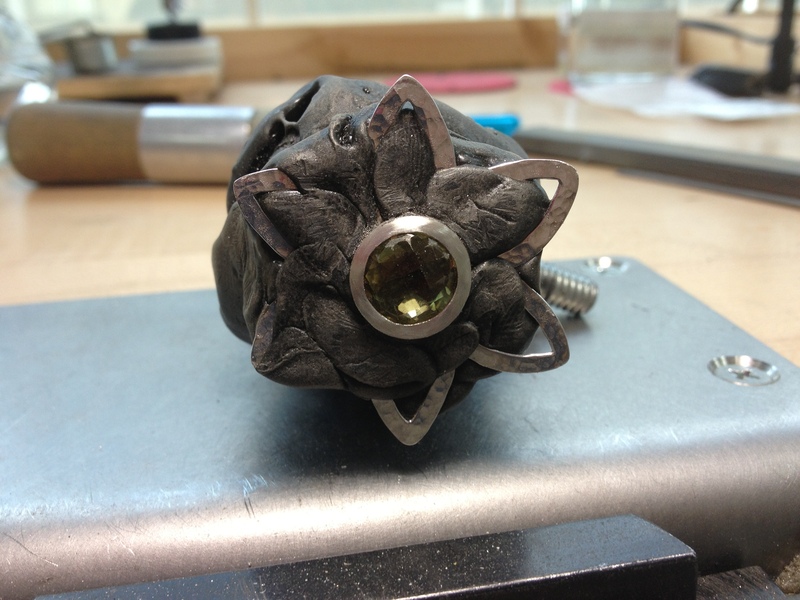 Ring ready to be soldered. 4. Once all 3 parts are soldered and connected, its time to set the stone. 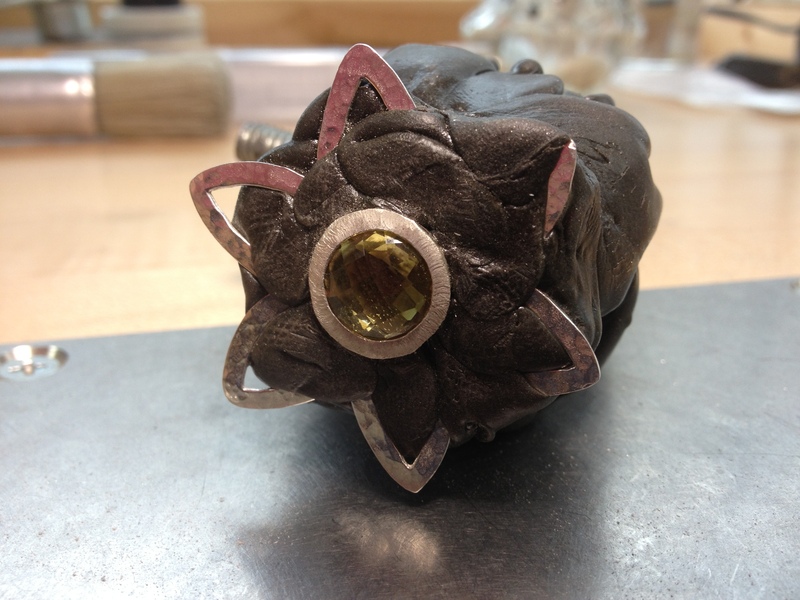 I melt dop wax in a ring clamp, insert the ring in it and place the citrine in the bezel. Then with an electrical hammer, I hammer the bezel down so that the metal covers the stone completely. This has to be done very carefully or else you could break or chip the stone. Can you see the hammer marks on the metal around the stone? Ring in dop wax after hammering the bezel. 5. File and sand the hammer marks off. Notice the metal around the stone is smooth now. 6. Remove from ring clamp and soak in paint thinner to get rid of residual wax. Clean. Do a final polish if needed, and Done! If you liked what you just saw, leave me a comment below!